We are saddened to report on the death of the Reverend Otis B. Byrd, Jr., pastor of the God’s Anointed Missionary Baptist Church of Atlanta, GA, who tragically went home to be with the Lord on Sunday, January 5, 2014 as a result of violence. An Atlanta pastor was found stabbed to death over the weekend. The Rev. Otis Byrd Sr.’s body was found around noon Sunday, according to police, after he failed to show up for church. Police were called to Byrd’s home in the 600 block of Finley Avenue in Atlanta, after church members went to check on him, according to Officer John Chafee with the Atlanta Police Department. 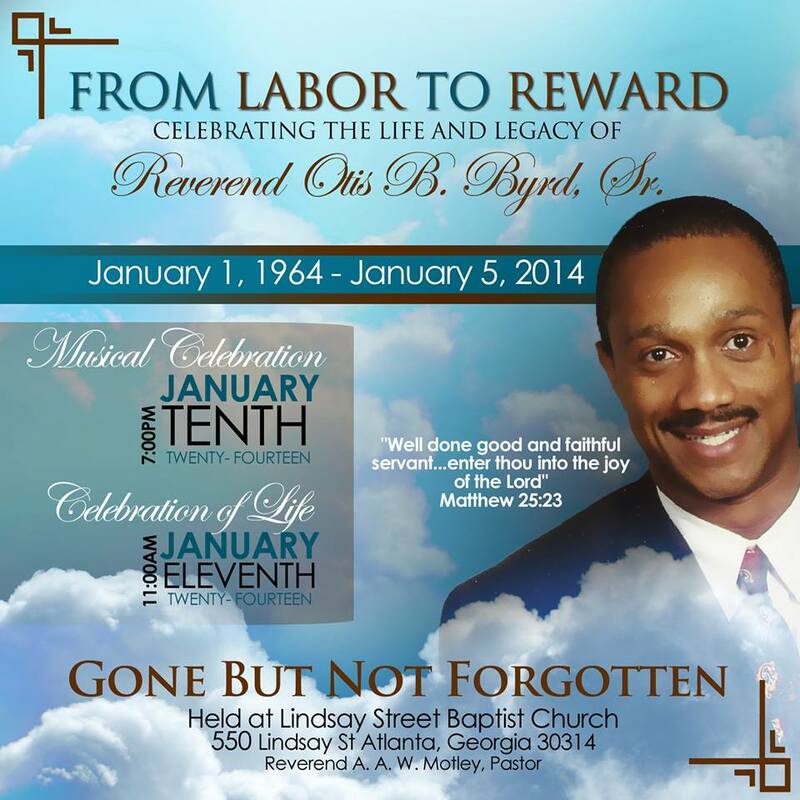 Byrd was a pastor at God’s Anointed Missionary Baptist Church. The church is located on Memorial Drive in northwest Atlanta, according to the AJC. Police are still investigating Byrd’s death and no arrests have been made, according to the Atlanta police. PLEASE keep the Byrd Family and the God’s Anointed Church Family in your prayers.